The candidates who applied for UPSC jobs are eager to start their exam preparation. But for the UPSC exam preparation, the applicants must have the UPSC IES ISS Syllabus with them. If you are looking for UPSC Syllabus for better exam preparation and couldn’t find all the concepts? Then don’t worry! You are at the right place. Because we are here to help the UPSC job applicants by providing the UPSC Indian Statisctical Service Syllabus here. So the applicants can get the complete topics of UPSC IES exam in the UPSC IES ISS Syllabus. Therefore the next step is to download the provided UPSC ISS syllabus and start preparing for UPSC IES ISS exam. Also, for the UPSC job aspirants, we are also giving the UPSC IES & ISS Exam pattern in separate tables. So all the applicants can check their respective discipline UPSC exam pattern below. In the exam pattern, it is clearly shown about the duration of the exam, no. of questions, and maximum marks for UPSC IES exam. So don’t forget to view the exam pattern before going to the UPSC exam. Visit Employment News for upcoming Central Govt jobs. Union Public service commission jobs are a dream for many jobs seekers in India. Their dream has come real with the release of UPSC IES ISS Notification. The total number of vacancies in this UPSC IES ISS Recruitment are 44 vacancies. And these vacancies are to fill the posts of Indian Economic Service and Indian Statistical Service. So the candidates who are preparing for UPSC jobs can apply on or before the last date i.e. on 03/03/2017. Also for the sake of UPSC job seekers, we are providing the UPSC IES ISS previous papers on our page. Therefore the candidates can get all the details such as UPSC Syllabus, Exam Pattern, and old papers on a single page. So keep visiting or page for latest updates of UPSC recruitment. Prepare according to the old questions and UPSC syllabus to gain more marks in the written test. So the provided information about the UPSC IES ISS Syllabus is taken with respect to the UPSC IES ISS Notification. Hence refer the UPSC ISS Syllabus for better exam preparation. Bookmark our page for upcoming UPSC jobs. In a case, if you need any other details regarding the UPSC exam, visit this www.upsc.gov.in website. The UPSC ISS Syllabus is available for download on this page. Candidates who are appearing for this exam can check the UPSC Indian Statistical Service Syllabus & UPSC Indian Statistical Service Exam Pattern. The Union Public Service Commission has released a UPSC ISS IES 2016 Recruitment notification for filling various posts. There nearly 28 vacancies in Economic & Statistics Department. Candidates will be selected based upon their performance in the Written test and Viva-Voce. Candidates who have applied for this exam can check the UPSC ISS Syllabus & UPSC ISS Exam Pattern. We are providing the UPSC Indian Statistical Service Syllabus & UPSC Indian Statistical Service Exam Pattern for the guidance of candidates. The UPSC ISS IES Syllabus is also available in the official website for download. The UPSC Indian Statistical Service Syllabus pdf is given below on this page. Aspirants can check our recruitment.guru website for more updates regarding the UPSC IES ISS Notification 2016, UPSC IES ISS Exam Important Dates, UPSC Indian Statistical Services Syllabus & Pattern, UPSC IES ISS Previous Papers etc. Union Public Service Commission (UPSC) is an accredited body operating below the Indian Central Government. The UPSC performs all the essential schemes for recruitment of aspirants into several posts in central government. UPSC conducts many exams each year for recruitment of capable & qualified candidates into civil services & other departments in the central government of India. Candidates will be selected based upon their performance in the exams conducted by UPSC. Eligible competitors who are interested in Central Government Jobs can apply for these posts through online mode following the release of notification. Applicants can check the UPSC official website for more details. The official website of Union Public Service Commission is www.upsc.gov.in. The exam consists of 6 Papers. Duration of each paper is 3 Hours except for Paper III & IV. Duration of Paper III & IV is 2 Hours each. Paper I & II are conducted for 100 marks each. Paper III & IV are of Objective type i.e it consists of Multiple Choice Questions. Papers III, IV, V, VI are conducted for 200 Marks each. Paper I & II consists of General English & General Studies respectively. Paper III to VI consists of Professional Knowledge i.e Statistics Subjects. All the papers must be answered in English Langauge only. Candidates who get qualified in the Written test will be called for Viva-Voce. 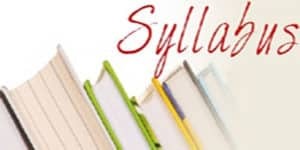 The UPSC Syllabus for all papers is available below. Therefore check the UPSC ISS Syllabus for better preparation. Survival Analysis and Clinical Trial. Computing with C and R etc. Name of the Exam: Indian Economic/ Statistical Services.